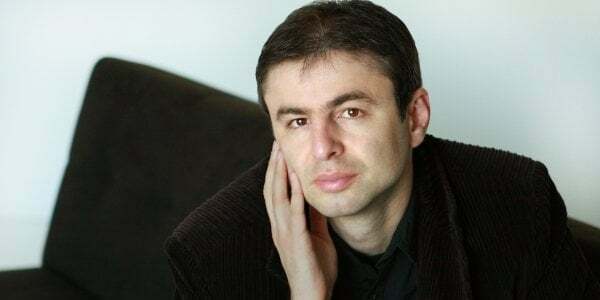 Nikola Madzirov (poet, essayist and translator) was born into a family of Balkan Wars refugees in 1973 in Strumica, Macedonia. His poetry has been translated into thirty languages and published in collections and anthologies in the US, Europe and Asia. He is the recipient of the Hubert Burda European poetry award, the Miladinov Brothers poetry prize, the Studentski Zbor award and the Aco Karamanov prize. He has received many international fellowships. He is one of the coordinators of the world poetry network Lyrikline. His most recent collection, Remnants of Another Age, was released from BOA Editions in March 2011. There is a nearby street forbidden to my steps. When I met Adam Zagajewski in Berlin a few years ago at the east side of the ruined wall of temporary partings and constant doubt, and when I pronounced in Macedonian the name of his native city as Lavov, he said that at that moment he became richer for one more name of his birthplace. I often question myself how many birthplaces should one have in order to be able to escape his own death or to escape the memory of cities where he lost someone? Many of my close friends mispronounce the name of my city as Strumisa, or Strumika, thus giving me a new birthplace based solely on the architecture of language and our consciousness. And when that other place is natural, when it is not situated in the houses of the past, then it is immeasurable (Gaston Bachelard). But is anyone able to construct a city with no houses of memories in it and with no monuments that exist just because of the tourist maps and the collective historical losses? If we look at photographs from our travels, we’ll see that we always stand beside a monumental building or a square of historical significance. The least numerous in our albums are the photos of the houses in which we live and the spaces where the cities of our own ancestors and inheritors expand, slowly, like local cemeteries which in the course of time conquer the nearby hill. The world is big, but inside us it is as deep as sea, wrote Rilke. We travel through space, through new cities to escape the archaeological sites of our inconstancy. We inhabit the space between the monument and the moment, between the itinerancy and the eternity. The cities of memories are built upon the foundations of our ruined personal longings and dreams. We can move in and out of them without breaking any agreements for restricted movement kept in the archives of any two countries at war. Escaping to those invisible cities of certainty, I found a shelter from permanent inner exile, a neat hotel room for a guest who does not understand the language of the country where he has arrived. This emotional nomadism can be the basis for a new architectonic harmony of the limitless spaces. Alain Bosquet moved the coordinates of the tangible by saying that the poet is in the city only to prove that the city itself is located somewhere else. And so by escaping towards something, not from something, the new cities open themselves, like the doors of a supermarket, abundant in everything except hopes with expired dates. The city is our new nature, a new forest that does not bear fruit, a polygon of our mythical childhood and a mausoleum of all particular hopes and ambitions. Even today, if I throw down the toys that are still kept in a carton box from a used television set, I could construct a city with all its elements that keep it alive – small “police” cars, traffic lights, train station, a small house with a yard and a dog near the wooden fence. Roland Barthes says that the toy always signifies something and this something is always closely connected with society and is composed of either myths or the methods of the contemporary life of adults. And the city of adults is predictable and large – just large enough to trigger the children’s urge for reconstruction and harmony. Such a city of the past does not ever sleep. Even in the densest darkness, when there is no harvest moon, when there is no reflection of the snow, it is open for new inhabitants that never carry a key with them. It has always been my notion that new cities are born where streetlights begin. I could imagine each measurable space sink in the dark, even my room, but never the city. Streetlights enabled me to see what was on earth, but never what was in the sky. When all the lights are extinguished at the same time like candles from a birthday cake, then the center and the ghetto become one. At the end of that light, the streets of longing for new paths begin. I have so many birthplaces; I wish I had as many places to die.